NYS Assembly Wants $20M for Safe Streets — Will Cuomo and Senate Agree? In its one-house budget, the State Assembly is proposing to dedicate $20 million to safe streets projects statewide. 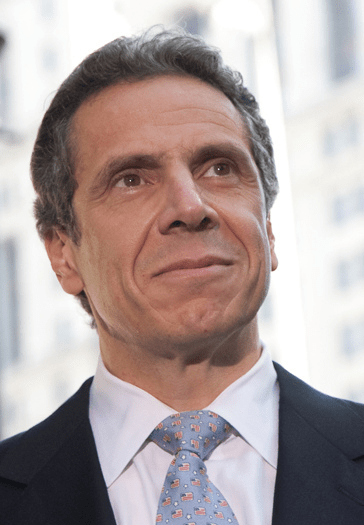 It would be the first time New York has set aside dedicated funding for the state’s Complete Streets program, but so far neither Governor Cuomo nor the State Senate have included any such funding in their respective budget proposals. The Tri-State Transportation Campaign reports that, since Cuomo signed a Complete Streets bill into law five years ago, New York hasn’t guaranteed any funding for walking and biking projects, while the federal pot for such projects has dwindled. The law requires state and local transportation projects that fall under the jurisdiction of the state DOT and get federal and state funding to take walking and biking into account when appropriate. Though $20 million doesn’t seem like much, Tri-State notes that it would almost double the $26 million in complete streets funding New York State is supposed to get from the feds annually under the FAST Act. Given that people who walk and bike account for one in four traffic deaths in New York — the worst ratio of any state in the country, according to the Alliance for Biking & Walking — it’s vital that Albany help safe streets projects come to fruition. Tri-State is asking New Yorkers to contact their State Senate reps and urge them to include $20 million in the Senate budget for Complete Streets. It wouldn’t hurt to remind Cuomo that the safety of New Yorkers who aren’t driving motor vehicles matters too. This is actually an issue which affects upstate and Long Island districts MUCH more than it affects NYC. We have a lot of streets with high speed limits and *no sidewalks at all* which are appallingly unsafe.